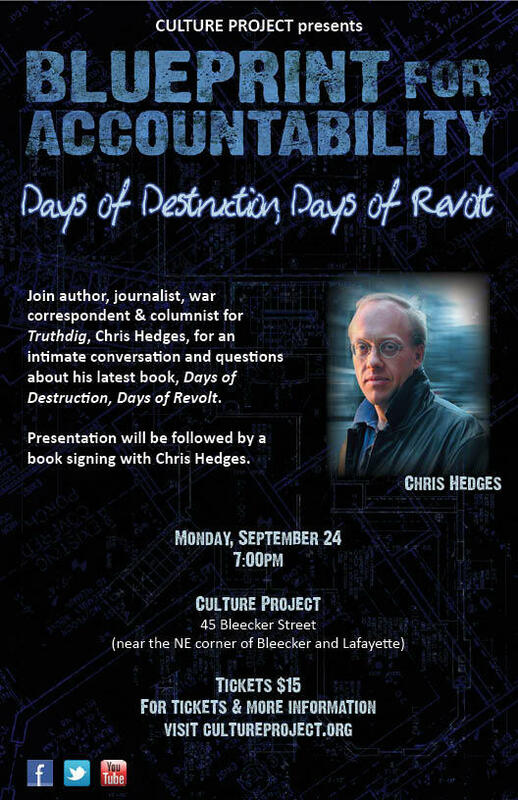 Join author, journalist, war correspondent and columnist for Truthdig, Chris Hedges, for an intimate conversation and questions about his latest book: Days of Destruction, Days of Revolt. Presentation will be followed by book signing with Chris Hedges. 45 Bleeker Street, Manhattan, New York.